The husband and wife are now empty-nesters. They needed lots of storage for small appliances, pots and pans, and lots of baking paraphernalia. 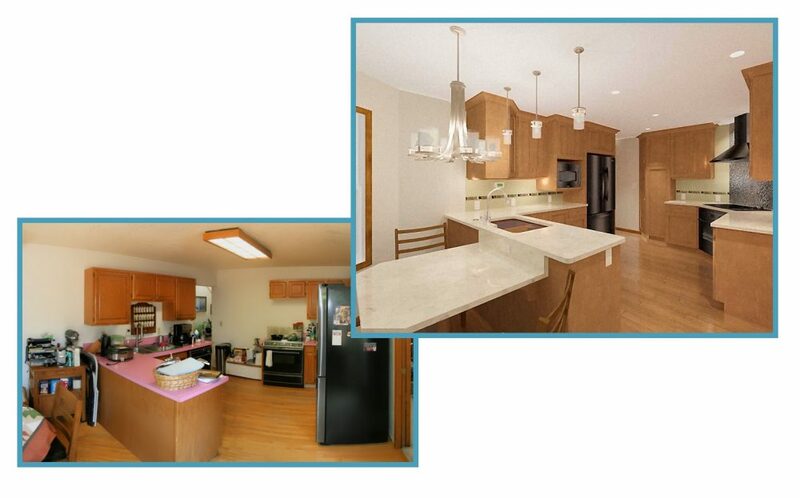 During the design process, every inch of available space was used to create a new kitchen for their needs. Read more about this project in my blog!